Diabetes mellitus (DM), a non-communicable disease (NCD), is a major public health challenge worldwide. It is expected that the burden of DM will increase because of population growth, aging, and lifestyle behaviors. Thus, screening guidelines should be developed to prevent mortality and adverse consequences of late detection. In this rapid review, the screening guidelines of DM are reviewed and discussed. Chen L, Magliano DJ, Zimmet PZ. The worldwide epidemiology of type 2 diabetes mellitus--present and future perspectives. Nat Rev Endocrinol. 2011;8(4):228-236. doi:10.1038/nrendo.2011.183. Gray LJ, Willis A, Webb D, Davies MJ, Khunti K. Screening for Diabetes and Prediabetes. In: Bonora E, DeFronzo R, eds. Diabetes. Epidemiology, Genetics, Pathogenesis, Diagnosis, Prevention, and Treatment. Springer; 2018:1-33. doi:10.1007/978-3-319-27317- 4_12-1. Bhutani J, Bhutani S. Worldwide burden of diabetes. Indian J Endocrinol Metab. 2014;18(6):868-870. doi:10.4103/2230-8210.141388. Centers for Disease Control and Prevention (CDC). National diabetes statistics report, 2017. Atlanta, GA: CDC; 2017. Siu AL. Screening for Abnormal Blood Glucose and Type 2 Diabetes Mellitus: U.S. Preventive Services Task Force Recommendation Statement. Ann Intern Med. 2015;163(11):861-868. doi:10.7326/M15-2345. Standards of medical care in diabetes-2015 abridged for primary care providers. Clin Diabetes. 2015;33(2):97-111. doi:10.2337/diaclin.33.2.97. Handelsman Y, Bloomgarden ZT, Grunberger G, et al. American association of clinical endocrinologists and american college of endocrinology - clinical practice guidelines for developing a diabetes mellitus comprehensive care plan - 2015. Endocr Pract. 2015;21 Suppl 1:1-87. doi:10.4158/EP15672.GL. Pottie K, Jaramillo A, Lewin G, et al. Recommendations on screening for type 2 diabetes in adults. CMAJ. 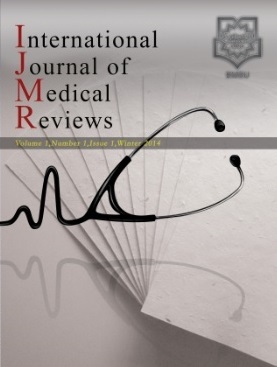 2012;184(15):1687- 1696. doi:10.1503/cmaj.120732. National Screening Committee (NSC). UK NSC Type 2 diabetes screening recommendation. UK: NSC; 2014. https://legacyscreening.phe.org.uk/diabetes. Accessed January 9, 2019. The Royal Australian College of General Practitioners (RACGP). Guidelines for preventive activities in general practice. 9th ed. East Melbourne, Australia: The Royal Australian College of General Practitioners Ltd; 2018.